Once upon a time, a segment of those now nearly extinct devices that served as word processors for generations also provided some creative inspiration for two giants in the design field. 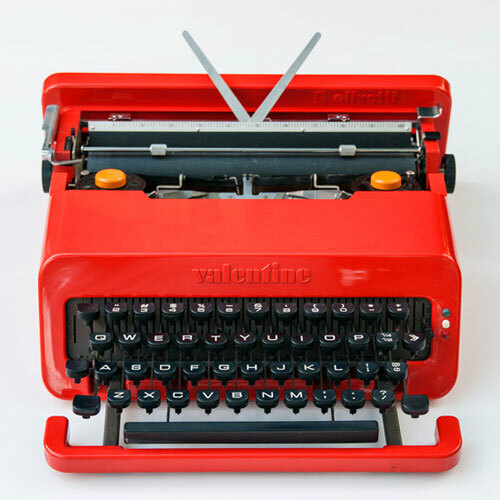 The manufacturer was Olivetti, and in 1969 a designer by the name of Ettore Sottsass elevated one of its typewriters, the “Valentine” (above) to museum-level art. 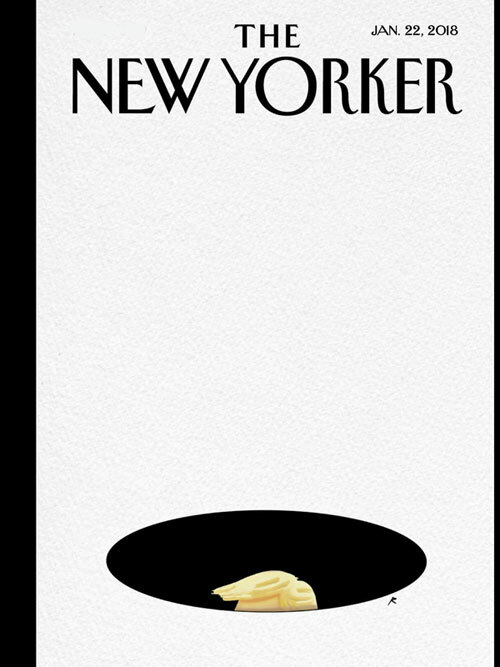 His contemporary in the graphic-design arena, Milton Glaser, was tasked with the advertising end of things for Olivetti, which also resulted in several magnificent posters for the brand that delight to this day. I came across this story in relation to a current exhibit at the Met Breuer in New York, entitled Ettore Sottsass: Design Radical. Though not a household name, Sottsass, who died in 2007, wielded an influence that was as impactful as it was creative on fields ranging from furnishings to jewelry. Some might be most familiar with his contributions to what was known as the “Memphis” movement, the design collective he initiated in the early 1980s. Bright, funky primary colors – especially red – permeated all things “Memphis,” which followed the iconic typewriter by about a decade. 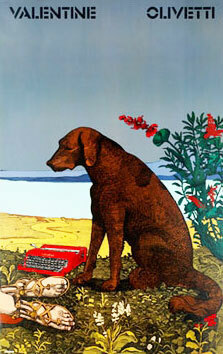 Milton Glaser’s ads for Olivetti, including the one pictured right (highly reminiscent of the “His Masters Voice” logo for RCA Victor gramophones) were works of art on their own. This poster for the “Valentine” has a particularly intriguing subtext. Note the pair of sandaled feet at the bottom left of the image; turns out the artwork (sans typewriter) is a detail from a 1495 painting by Piero di Cosimo (see here), that makes you marvel at Glaser’s caustic playfulness.